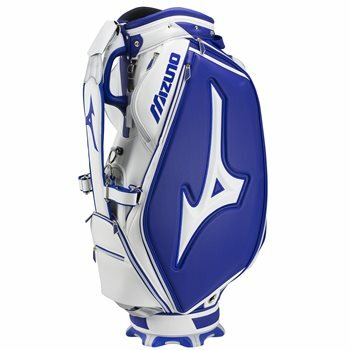 The Mizuno Pro Staff bag is the same model used by all Mizuno Tour staff and is made of the best quality materials. The bag features 13 storage pockets including apparel pockets, a valuables pocket, and magnetic pocket. The bag also features an insulated drink pouch, zip-off embroidery panel, umbrella holder, and matching rain hood.